Bring those 1970's back in da house! I want you to have a look at some of the best 22 non-boring ways to wear flare jeans in your everyday life. Are you thrilled? I guess so! Step out of your comfort zone and try something cool, urban and vintage looking. 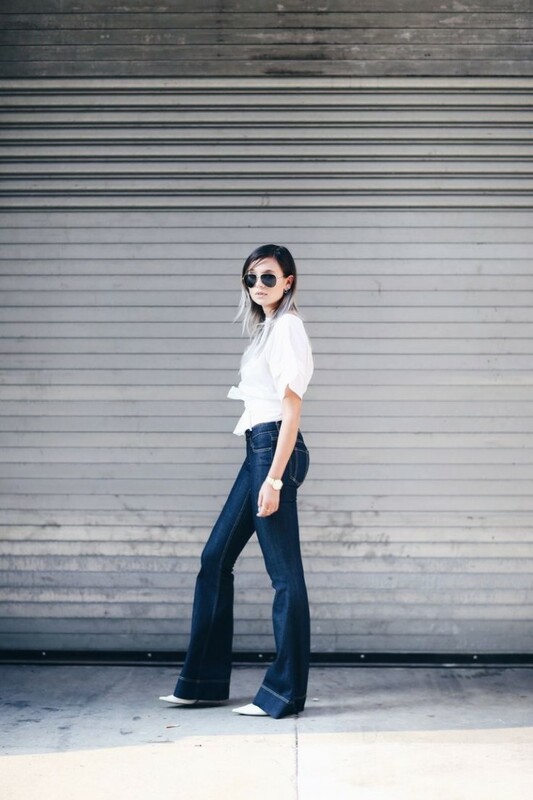 I have found trendy looks of various bloggers, celebrities and street style stars who took that fashion-risk and tried on flares to wear on the streets. The funny thing about this look is the chic appearance that is created thanks to their fit. We all die for skinnies, but we forget about beauty of these flared bottoms, it's a pity. In love with this pretty cool outfit that consists of a pale khaki olive jacket, flared blue jeans and platform wedge sandals. Today, I am more than happy to show you my favorite outfits to wear from casual brunch to casual Friday and dinner with family. 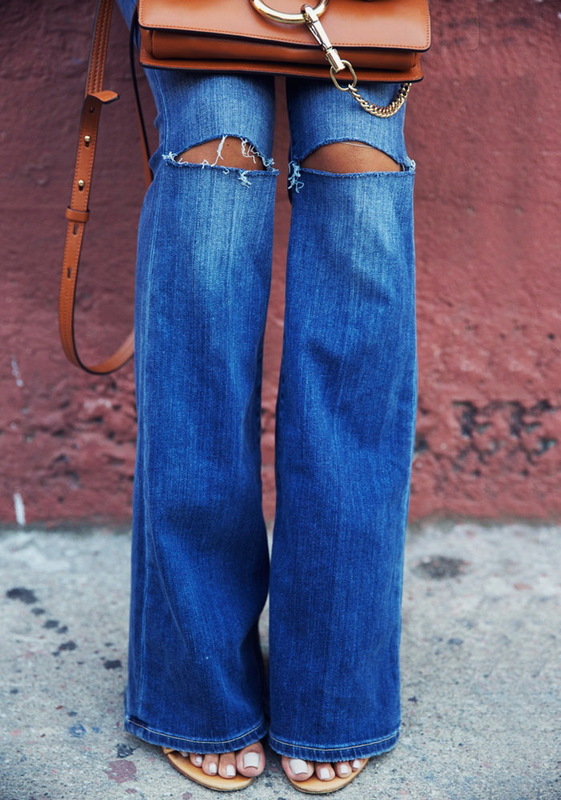 That strong 1970's movement made these jeans look voguish and so must-have. Personally, when I see these denim bottoms I automatically start to think of hippie fashion and boho vibes. There are also cool denim versions, like wide bootcut jeans. In today's modern fashion world we see perfect style combinations that can be used in wearing flared bottoms. 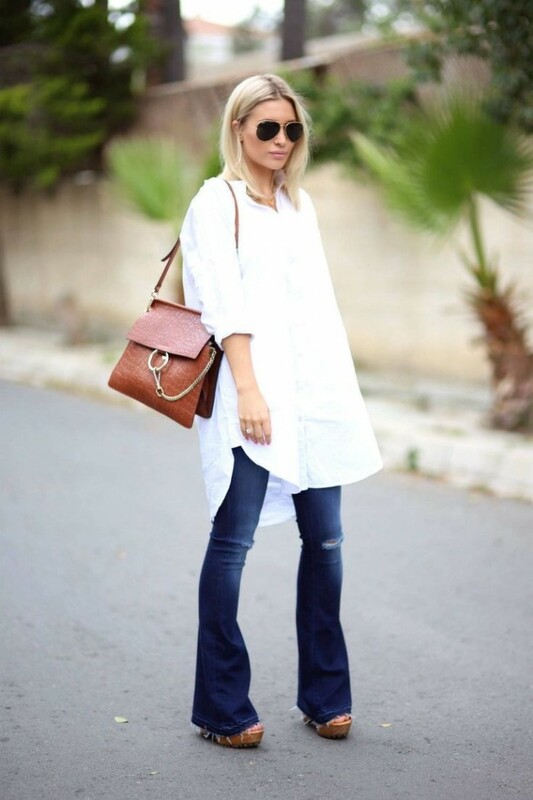 You can try to marry grunge vibes with 70's fashion or simply add glamour cues and update your denim wardrobe. I love to wear flares to day and rooftop parties. All I have to do is to try on tailored black flares and dress them down with cool crop top and long vest. Speaking of shoes, then everything depends on your imagination. Go for mules, heels or sneakers. 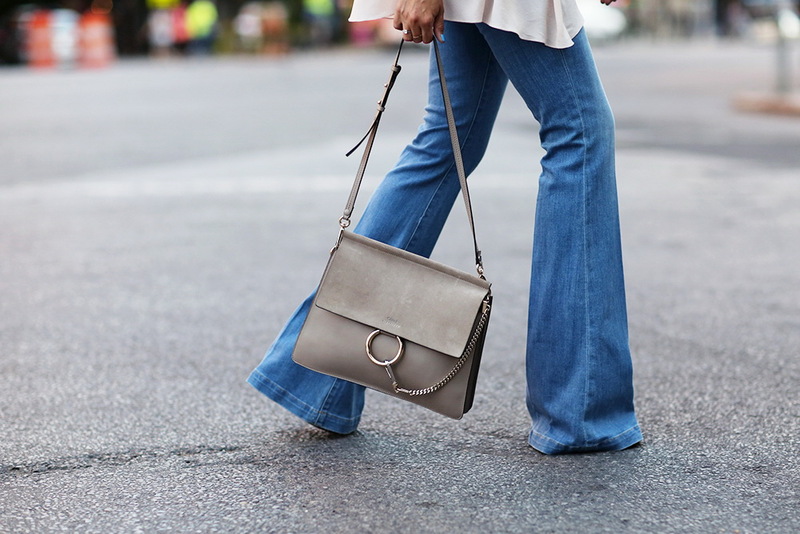 Some ladies use flares to wear them to casual brunches. If you want to try flares to brunches, then I recommend to keep things relaxed and comfy by wearing cool sneakers, classic faded flared jeans, basic T-shirt and statement bomber jacket. Casual Fridays nights can be updated with sophisticated wrap tops, ankle platform heels and pretty faded boot-cut jeans. It's always fun to experiment with your looks. Anyway, I think we should take a close up look at some of the best outfit ideas to get inspired by, right? Funny I never stopped wearing my flairs even up to this day. 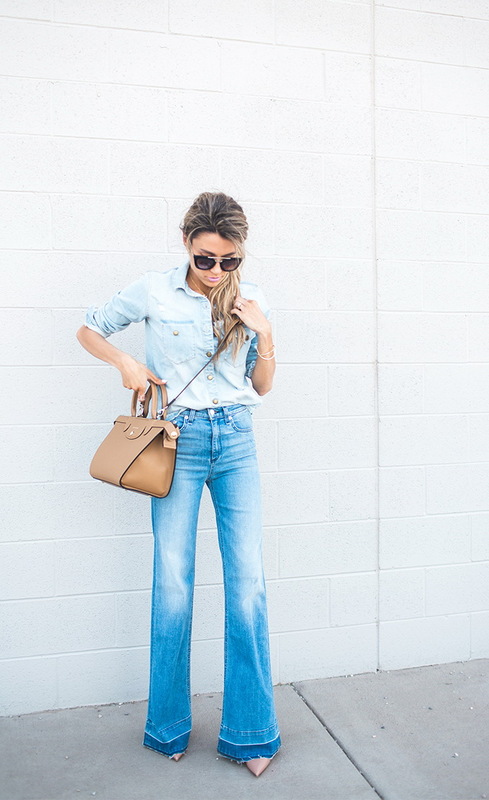 I love them as much as I love other jean silhouettes. Gives life variety.